Surprisingly, I’ve been quite relaxed about the whole weaning stage, as opposed to every other aspect of being a new parent, but I’m too exhausted to get in a tizz about anything else these days. We’ve been making a whole lot of mess and basically winging it to see what foods she does and doesn’t enjoy, but she’s showing signs that she is definitely my daughter because she is loving food. 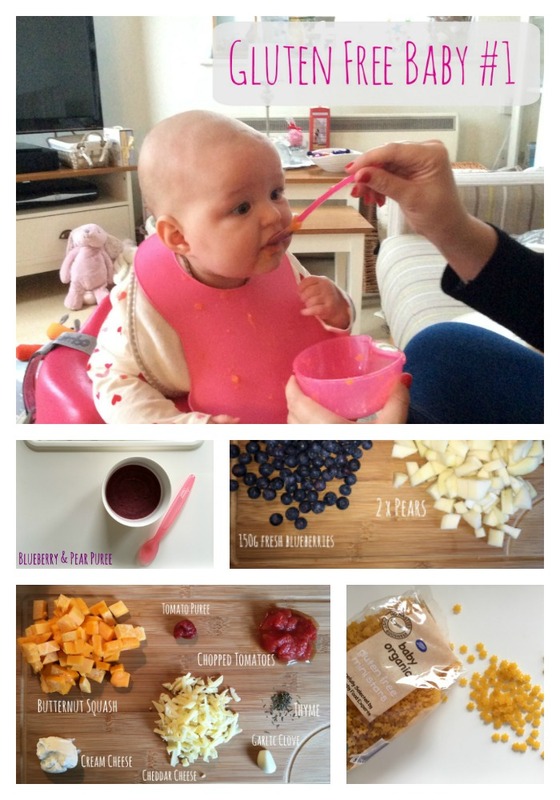 I’ve been combining her meals with homemade dishes and pre-made pouches and a mix of led and baby-led weaning- whatever is easy at the time and as long as it’s gluten free, I’m not particularly fussed. As long as she’s being fed and isn’t breaking windows with her ear piercing delightful scream we’re all happy. 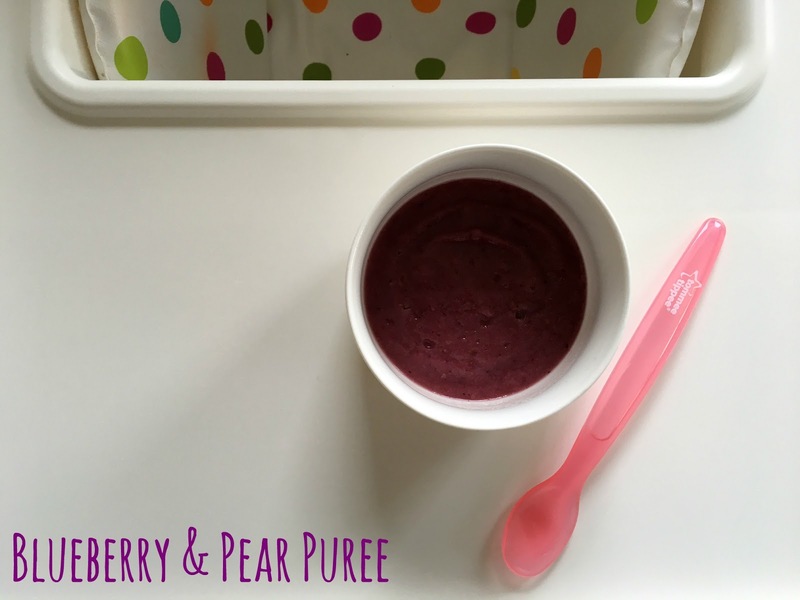 Annabel Karmel’s blueberry & pear puree has gone down a treat with Elsie. 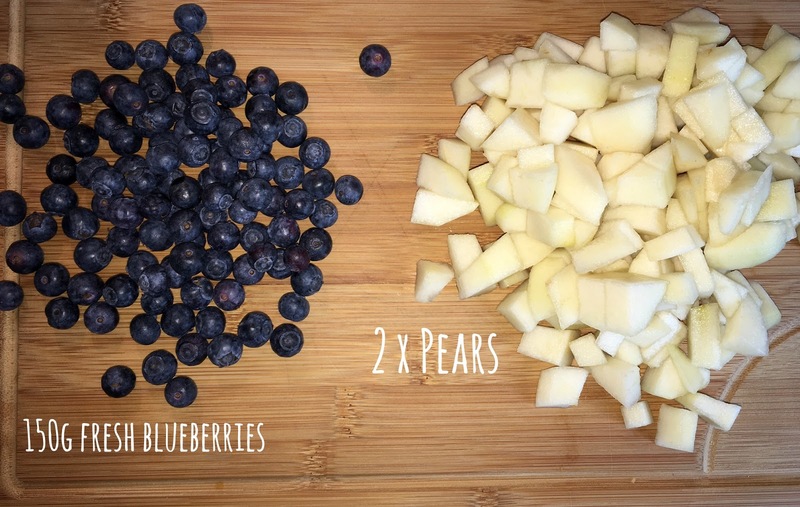 She was suffering a lot last week with constipation and we read that fruits such as blueberries can help with this so I whipped up a batch. It seemed to help, along with lots of water, and since then we’ve been giving her the puree as either part of her breakfast or after dinner dessert. Simply simmer the ingredients for five minutes until soft and then blend to baby’s desired consistency and then I made up around six batches for freezing. Boom. 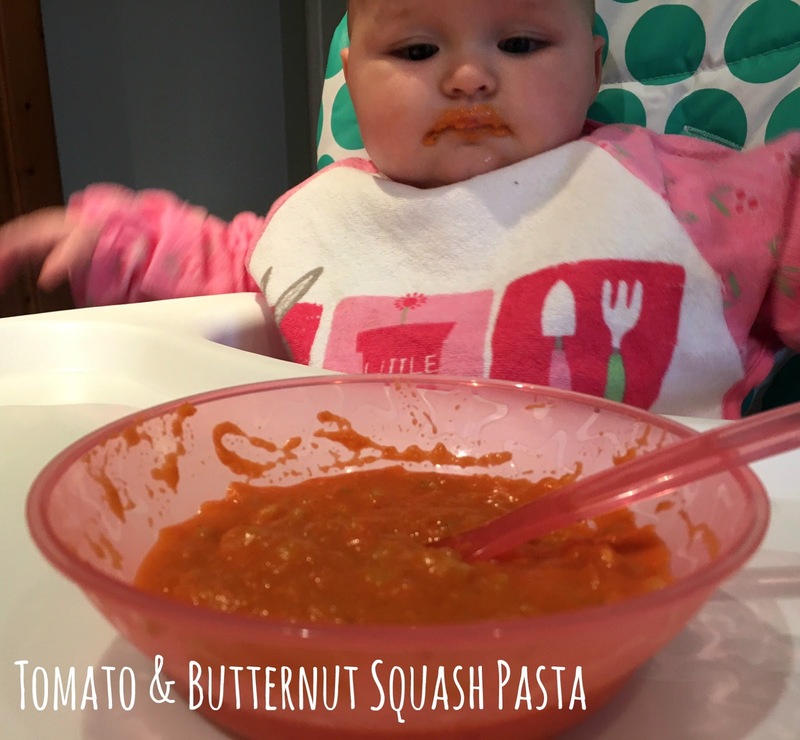 Using Annabel Karmel’s weaning cook book, her Tomato and Butternut Squash Pasta sauce has been a great way to introduce Elsie to gluten free pasta. I was chuffed to stumble across gluten free baby pasta in Boots and she’s been loving it. These quantities made up around five large portions, although next time around I’ll spread them out a little more to increase the portions. Heat oil in a saucepan. Add onion, thyme and butternut squash. Sauté for five minutes then add garlic and cook for 1 minute longer. Add remaining ingredients (aside from cheese and cream cheese) bring to the boil, reduce heat and simmer for 30 minutes. 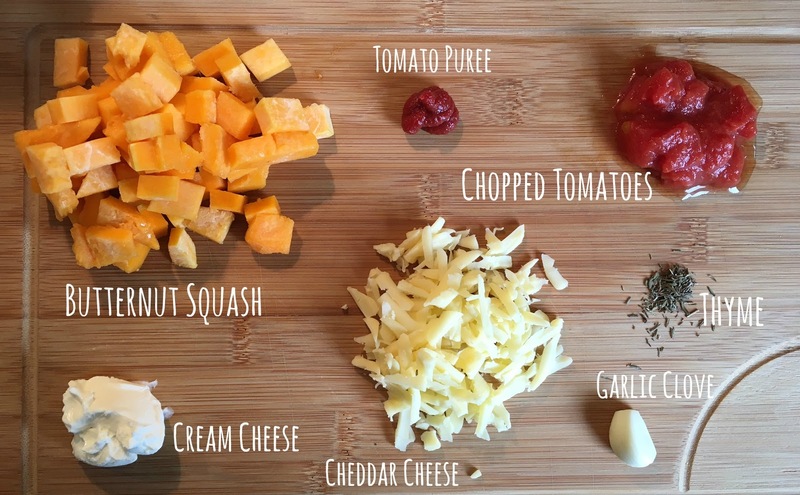 Add grated cheese and blend to require consistency, then add cream cheese. To cook the pasta add required amount to boiling water for around 12 minutes. Allow to cool a little then stir in with tomato sauce. Freeze remaining sauce into portions.